Adaptable and convenient expanded metal players' benches bring opportunity to a wide array of site applications. Constructed with heavy-duty 3/4" #9 expanded steel, resting on a 2-3/8"O.D. steel tube frame that features a center support for extra stability, longevity and enjoyment. This bench is available in 6', 8', 10' and 15' lengths. With portable, surface and in-ground mount styles bench placement is almost unlimited; sports fields, gym locker rooms, park festivals or even indoor arenas—just to name a few. 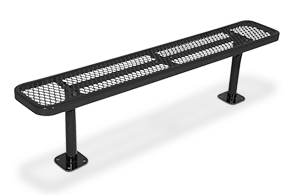 Crafted with precision fabrication and welding, these portable players' benches feature smooth, rounded edges for comfort and safety. 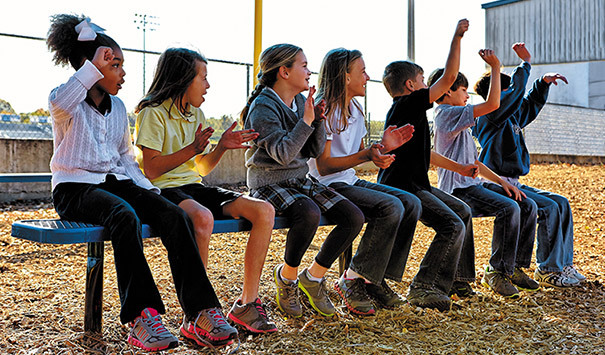 Sealed in an impact resistant and UV stabilized polyethylene finish, these benches are very resilient—highly able to perform well over the years.